Your carriage awaits you! Travel in a luxury vehicle that's perfect for your group. We will take you to some pretty fabulous places. Memories are made of days like these. Our wine tours are an Exclusive & Entertaining Experience! Whether you wish to visit The Barossa Valley, McLaren Vale, Clare Valley or The Coonawarra we will show you the "BEST ON OFFER" We provide exclusive wine tours of one of the worlds finest wine areas. When you visit Adelaide in South Australia we will provide you with exceptional service and personalised attention. You will not find a better way to experience some of the finest wineries in the country. Will you discover the best wine regions in Australia as a "Tourist" or as an "Expert"? Life is a Cabernet will provide the experience that many try to achieve and emulate. Our new generation Chrysler Voyagers, Chrysler 300C's will leave you in no doubt that you are travelling in the most comfortable vehicles available. 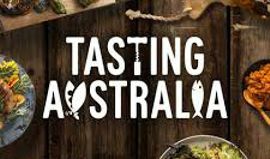 For that special food or wine indulgence during Tasting Australia 2019 call Ralf who will tailor an unforgettable day or afternoon for you. Hey Ralf, Great to meet you in Adelaide. I had the best time. The Barossa was superb & you and Paul were fantastic hosts.... Cheers Rachel V. Christchurch N.Z.